Today’s heretical Christianity is a comfortable, easy Christianity. Go to church, follow some commandments, wear a cross and have a few icons, maybe even go to Project Mexico once or twice, but DON”T ALLOW CHRIST TO CHANGE OUR LIVES. Too many follow the wide and easy path, which leads to destruction, and ignore the narrow and difficult path which Christ tells us leads into the kingdom of heaven. Radical Christianity is not easy, but it is the Christianity of the saints. Not a radical Christianity that is fanatic, or hate-based. Radical Christianity that is based on the radical love of Jesus Christ – to love not only our neighbor but even our enemy. To forgive not only that easy to forgive, but to forgive 70 x 7 those who are difficult to forgive. To show mercy and compassion and kindness and goodness to those for whom it is difficult to show mercy, compassion, and love. I challenge each one of us to reflect on whether we are trying to live such a radical Christianity! 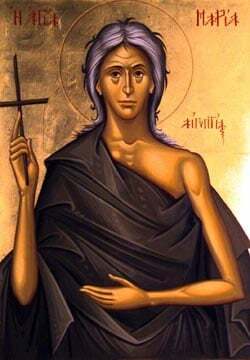 The saints are men and women struggling to live such radical Christianity, and even willing to die for their faith, willing to suffer and endure persecution, and never denying their faith even when it is difficult. Let me share you some stories of a few people I’ve met who are radical Christians. NICO SMITH, a white South African I met was a Dutch reformed pastor and theologian who defended the system of apartheid for 20 years while he preached in an all-white Church and taught at a prestigious University. By 1974, Nico finally came to the realization that he wasn’t free. He started to see that the Bible didn’t teach apartheid, and thus, he could no longer accept this unjust system. Uncertain about his future, yet sure about his newfound beliefs, he began to take a confrontational stance against apartheid, preaching a message of reconciliation for whites and blacks. This new understanding of faith led Nico and his wife to become the first white people to move into a Black Township, and begin pastoring an all black Church. When he did this, his extended family thought that he had gone mad, and his former Church condemned him as a traitor. The government attacked him as a communist, and the secret police tapped his phone, keeping constant surveillance on him, harassing and threatening him and his family. I met Nico some years ago at a conference which gathered 1700 participants from 125 countries to discuss various ways we can proclaim God’s message throughout the world. My particular group was full of radical Christians who were striving to be peacemakers. CELESTIN MUSEKURA is a Hutu from Rwanda. His wife is a Tutsi, Remember 20 years ago the genocide in Rwanda where the Hutus killed 800,000 Tutsis within three months, and left three million people as refugees. Celestin told his story about trying to preach the Christian message of repentance and forgiveness several years after the genocide. He brought the Hutu and Tutsi pastors together to discuss how the Church could be an agent of reconciliation for the country. Yet, his own Hutu people accused him of siding with the Tutsis, while the Tutsis distrusted him since he was a Hutu. When he returned to Rwanda, he was arrested by the police and beaten for three hours by the Tutsis. And then there was GRACE MORILLO, a young woman from Colombia, who was held captive for 68 days by the guerillas of her country. Yet, she showed no hatred or anger toward those who kidnapped her. In fact, she told moving stories about how the prisoners would pray together every day, and sometimes their kidnappers would even join them, holding hands and praying the Lord’s Prayer. She began to see these fearsome guerillas as human beings. She started to think about how the injustices of her country often pushed the peasants to extreme actions. How about ARCHBISHOP ANASTASIOS OF ALBANIA, who at the age of 61 years old accepted to go to the poorest country in the world, to the only country in world history that forbade all religion for 23 years, a country that had a history of antagonism with Greeks, and yet he willingly went there to serve and resurrect an ancient church. At the age of 61! And continues there at the age of 88! What is so hard about being a Radical Christian? And what are ways we can be Radical Christians? - How do we live out our Christianity in Secular America? - With those who are despised? - With those who believe differently politically than we do? - With those who seem to reject religion? - With those struggling with addictions? - With those marginalized by society? Many people are suffering and are in need. God has made very clear that we, you and I, are His hands, his feet, his love. Radical Christianity is reaching out, with love, to those in need! Alexander Papaderos, a lay Orthodox theologian, a peace advocate, and faithful Christian has spent his life promoting forgiveness, reconciliation and the illumination of darkness in human life. He was once asked “What is the meaning of life?” to which Papaderos took out a small mirror from his wallet and shared a story from his childhood. He grew up in a poor, remote village of Crete during World War II. At that time, he found pieces of a broken mirror from a German motorcycle. Radical Christianity is shining the light of Jesus Christ into the dark places of the world, no matter how difficult or dangerous! Radical Christianity is seeing the beauty in all people, seeing God’s image in all people, and reaching out to them with love and kindness and goodness. Meeting people wherever they are on their journey of faith, even with whatever doubts they may struggle with. Fanning whatever sparks of faith we may find, no matter how small it seems. And shining divine light in dark places, no matter how great the darkness. This is what makes life’s journey of faith so exciting, and this is what makes each one of us important instruments in God’s hands. Journeying towards God, and helping and encouraging others on that journey as well. Radical Christianity means trying to live like Jesus Christ. Trying to see the world like Jesus Christ did. Seeing the beauty in others, and calling out that beauty in all that is broken and seemingly lost. Lord, help us to become radical Christians!